Call Tashi Braun, RE/MAX In The Hills, 605-641-3342 to set up a showing. Seller requests a 24 hour notice before showing. 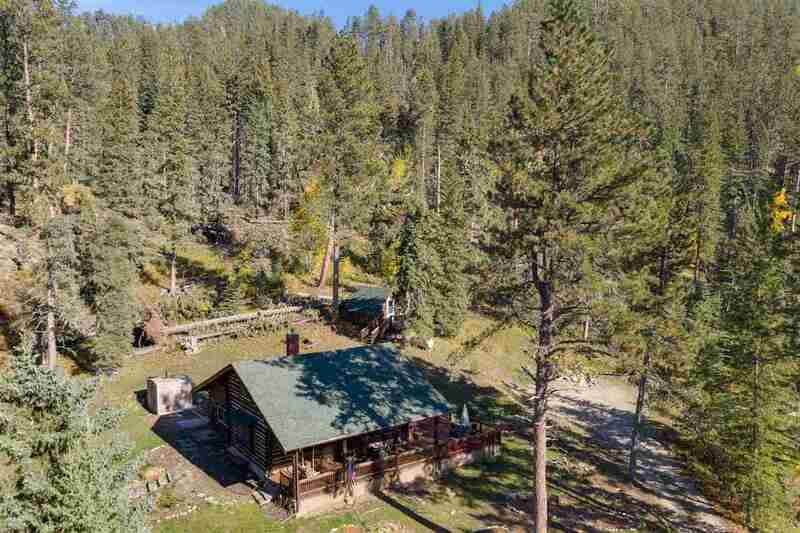 Enjoy the natural beauty of Spearfish Canyon from the large wrap around deck on this beautiful log cabin. As you enjoy the views you can also listen to the running stream that is across the road. This log cabin has a fresh coat of stain and new chinking. Seller has also added an on-demand hot water heater! This cabin features a gas fire place and large open living room. Invite the whole family because this loft sleeps eight and features a separate "Bird House" that sleeps two! Sellers are willing to negotiate on furnishings.